Whether you are looking to make a good first impression, achieve a healthy radiant look as you age or simply feel better about yourself, taking care of your skin is a wise decision to make. After years of experimenting with many different approaches to taking care of skin, we realized that customizing solutions for each individual and their particular skin care concerns produces much better results than just applying a one size fits all solution. With so many concerns, products, and information available, it is important to know what steps to take to create your healthiest possible skin. At New Era Skin and Body we strive to become your partner in taking care of your skin. We do our best to advise you what types of treatments you need without overselling you with services or products that you don’t need. Come in for a free no cost skin care consultation today and let us create a custom program for you that will help you reach your skin care goals. Each facial includes skin analysis, cleansing, exfoliation, steam, extractions (if necessary), face and neck massage, and finishing mask. Allow 1 hour for service. Signature Treatments - These powerful treatments combine the latest in product layering, chemical peels, microdermabrasion, and microcurrent technology. This special treatment contains a significant concentration of Vitamin A (Retinol) and Lactic Acid which is great for fine lines and wrinkles and anyone looking for healthier, glowing skin. A highly effective blend of products containing concentrated Vitamins and fruits (anti-oxidants) which help to protect the skin from environmental damage. (free radicals) Suitable for all skin types except those with sensitive skin. A deep exfoliation that is great for clogged pores, dull skin, breakouts, and hyperpigmentation. It is suitable for all skin types including sensitive skin. A combination of TCA peels and microdermabrasion that can greatly improve the appearance of acne and acne scars. A great first step to even the skin’s texture and correct acne scarring. Suitable for people with history of acne or acne scars. Not advised for active acne. Combines Micro Current, Microdermabrasion, and a chemical peel into one amazingly powerful treatment. Diminishes appearance of fine lines, firms and contours the skin, hydrates and revitalizes, improves circulation, and encourages smoother softer skin. Suitable for any skin type but not overly sensitive skin. For best results a series of treatments is recommended. Inquire for pricing. These Bio-Ultimate Age Defying Facial™ results were achieved in the first twenty days of the procedure. Answer: Microcurrent is a low level of electrical current that mirrors the body’s own natural current. It’s proven and accepted properties and potential range of applications from wound healing, muscle rehabilitation, macular degeneration, to lymphodema continue to assist medical practitioners with amazing results. The intended use for The Bio-Ultimate Platinum device is to aid in the battle of anti-aging by diminishing the appearance of fine lines and wrinkles, improving the texture and appearance of the skin, re-educating and toning facial muscles, and reducing the overall visual appearance of aging. It is a popular non-invasive service that gives you the freedom to attain anti-aging goals without the recovery, downtime, and expense of surgeries. Answer: This low level of electrical current (500 microamperes) works in harmony with the body’s natural healing processes. At a cellular level, microcurrent stimulates activity in the cell to create massive amounts (a 500% increase) of adenosine tri-phosphate (ATP), known as the “energy of life”. ATP drives a number of biological processes including muscle contraction/re-education and protein (collagen and elastin) synthesis. Facial toning is achieved through muscle re-education, working a muscle from its origin and insertion inward to shorten slackened muscles (such as in the cheeks or forehead), and working from the belly outward to lengthen contracted muscles (such as the muscles that pull the corners of the mouth downward). Microcurrent also offers specific iontophoresis which allows superior penetration of serums into the skin. Question: Is this a new technology? Answer: No. It has been widely used in the US and has been approved by the FDA for 30 years. Question: How often can I receive this treatment? Answer: It depends on the condition of the skin and muscles and is largely determined by your age. To obtain the maximum results, a series of ten to twelve treatments should be performed at least twice weekly, with regularly scheduled monthly maintenance treatments. Your skin care practitioner will determine how many sessions will be required. Question: What type of skin can benefit from Microcurrent? Answer: The Bio-Ultimate Age Defying Facial is a complete esthetic system that aids in reducing the signs of aging of all skin types with specialized products and microcurrent technology. Together, the system of products and technology firms and smooths the skin, offering an outstanding age-defying facial. Skin is re-hydrated, circulation is improved, and a revitalized appearance is achieved after the first application. Question: Who can perform these treatments? Answer: This varies from state to state, however it typically requires a license issued by the state such as a licensed Esthetician or Medical Professional. Iris Cheu is a Licensed Esthetician and certified Bio-Ultimate Platinum technologist and continues to receive advanced training in microcurrent technology. Question: Is this treatment painful? Answer: No. In most cases it is sub-sensory, and many people find it quite relaxing. Question: How long does each treatment take? Answer: Most facials take approximately 60 minutes. Question: How soon will I see some improvement? Answer: Although a remarkable difference is seen after the first treatment, the benefits of microcurrent are cumulative, and as such, microcurrent treatments are typically performed in a series to gain maximum anti-aging results. Answer: Yes. The entire treatment is performed in a clean environment with disinfected tools. The Bio-Ultimate Platinum device is a FDA approved and FDA Registered Class 1 device. Question: Is microcurrent for everyone? Answer: While most people can benefit by the application of microcurrent, there are some absolute contraindications; it cannot be performed on persons with epilepsy, pacemaker, pregnant women, or anyone with active cancer. Answer: After you have completed the Age-Defying Series maintenance treatments at 3 to 6 week intervals are recommended to retain your results. Our microdermabrasion process uses a diamond surface attached to a wand that exfoliates the skins external layer. This allows for the rapid emergence of new skin cells that look healthier and smoother. Additional products may be deeply infused into the skin. 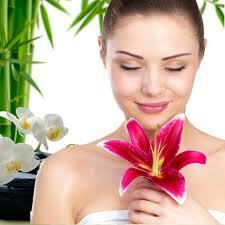 Iris, our esthetician is professionally trained in microdermabrasion ensuring a pain free treatment with no down time. Stimulation of new skin cell growth through vacuum action and mechanical exfoliation. What is a chemical peel? Chemical peels are a form of exfoliation that treats a number of different skin conditions including dark spots, sun damage, melasma, dull and dehydrated skin, wrinkles and fine lines, acne, and acne scars. How does a chemical peel work? Because chemical peels are highly acidic they can remove dead skin cells from the outmost layer of the skin called the epidermis. This allows brighter newer skin to grow. They can also help to unclog pores and increase cell turnover. What to expect when you get a chemical peel? Superficial or light chemical peels may give you a tingling sensation or make you feel a little hot or itchy but they do not require any downtime or healing. Moderate and deep peels do require downtime and healing time. Note: Only medical spas can offer deep peels. A 30% Glycolic and Lactic Acid Peel formulated to provide deep exfoliation for facial area. Used in conjunction with micrordermabrasion to combine for the perfect micro-exfoliation service.